Writing a business plan can be a daunting task. Even if you have a clear idea of how to write one and have reviewed several samples, it might be a good idea to seek advice from an expert along the way. 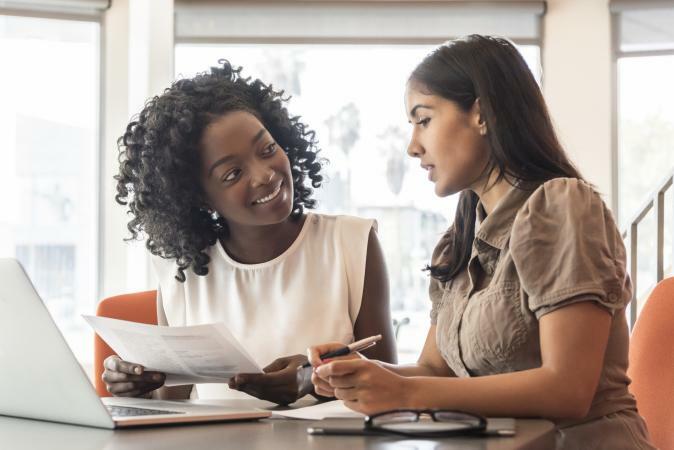 From SBA-supported nonprofits to professional consulting services, there are plenty of options available to entrepreneurs seeking advice with the task of crafting an effective business plan. SCORE stands for the Senior Corps of Retired Executives. The SCORE Association "is the nation's largest network of volunteer business mentors, with more than 10,000 volunteers in 300 chapters." Many of the group's volunteers are retired, but some are working professionals interested in helping small business owners. The group has been in existence since 1964, during which time its volunteers have provided assistance to more than ten million small business owners. The group's mentoring services are a good option for entrepreneurs looking for assistance with their business plans. If you like the idea of working with a local mentor who is willing to share insights, go to the Find a Mentor page on their website and enter your ZIP code. Once you do this, your information will be provided to the chapter closest to your area, where volunteers will match you with a qualified mentor. Alternately, you can do a keyword search via the same page to browse the profiles of SCORE volunteers with relevant expertise. If you go this route, you will need to reach out to mentors with whom you'd like to connect to schedule a conversation. Each mentor's profile page specifies if they are available for in-person or online consultations, and there is a request button you can use to reach out. The organization is "a resource partner of the U.S. Small Business Administration (SBA)," and the SBA provides financial support to the group. Because of this, the nonprofit group's services are very affordable. In some cases, services may be available free of charge, while in others a nominal fee may apply. Be sure to inquire about fees associated with mentoring services when you communicate with your local SCORE office or individual mentors. Women's Business Centers (WBCs) are another resource for business plan advice with ties to the SBA. There are more than 100 nonprofit WBC offices located throughout the United States, each of which offers counseling services to entrepreneurs, particularly with matters related to starting or expanding a small business (such as business planning). Providing advice on business plans is within their purview. While their primary focus is on helping women, most of the centers are more than happy to offer assistance to entrepreneurs of any gender. Visit their Local Assistance page on the SBA website to find out if there is a location near you. If so, check out your local group's website. If it seems the center may meet your needs, call and explain you are seeking advice on your business plan and ask to schedule an appointment. The WBC network operates under the oversight of the Office of Women's Business Ownership (OWBO) of the SBA. Each center is independently operated. As with SCORE, there is often a small fee for services, though some assistance may be available at no cost. Some groups offer memberships, with reduced rate or free services available to dues-paying members. If there are fees for business plan advice, it will likely be a flat-fee charge per counseling session. Be sure to ask when scheduling your appointment. You may find a professional consulting service is a better option to provide advice on your business plan. Cayenne Consulting is an example of a company that specializes in business plan consulting. They have a full team of experts on staff and outstanding Better Business Bureau ratings. They have been in operation since 2001 and offer a full range of business plan consulting services. So, they are a company you can rely on with assistance at all stages of the process, even if you decide you need help that goes far beyond seeking initial advice. It's important to note Cayenne Consulting is a true consulting service, which is what you need if you are looking for expert advice to help with your business plan. There are companies out there that offer business plan writing services, but that is not the same thing as a group that offers true strategic advice. A writing service can be beneficial if you already know what to include in your plan but you need assistance from a professional wordsmith. While enlisting the services of a professional consulting firm will likely require a greater out-of-pocket expense than working with one of the nonprofit groups described above, it's important to consider the money you are spending for expert advice is an important investment in your business venture. Getting sound, expert advice at this state can have an impact on the future success of your organization. Cayenne Consulting doesn't have a preset price list. This is the norm for true consulting companies that offer this type of service, as they will need a bit of information about your specific situation and goals in order to provide you with a price quote. Just fill out their online contact page to start the process. Of course, these are only a few of the many options available when you are seeking advice on your business plan. If you want to explore other options, your local Chamber of Commerce is a good place to start. They may have a dedicated small business department that can help you directly, or point you in the direction of a consulting service or nonprofit organization in the local area that offers the type of help you need.